Travis Fox came by on Friday, April 5th to pick up his $500 check as winner in our Lucky Leprechaun contest! 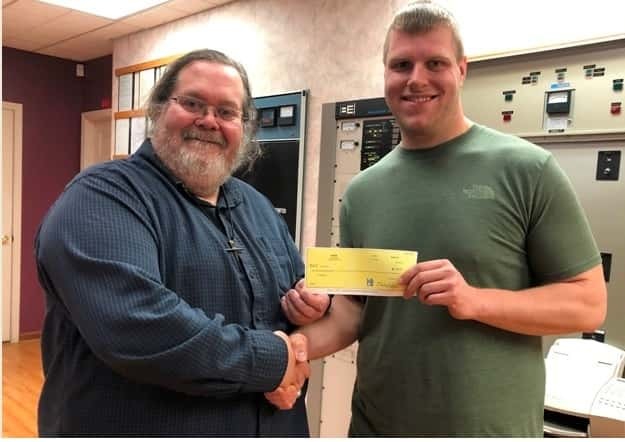 Pictured is WTOE/WKYK’s Bruce Ikard presenting Travis the check. Travis entered the contest at the urging of his girlfriend’s grandmother who heard about it on the radio. Congratulations Travis! It pays to listen to WKYK/WTOE!